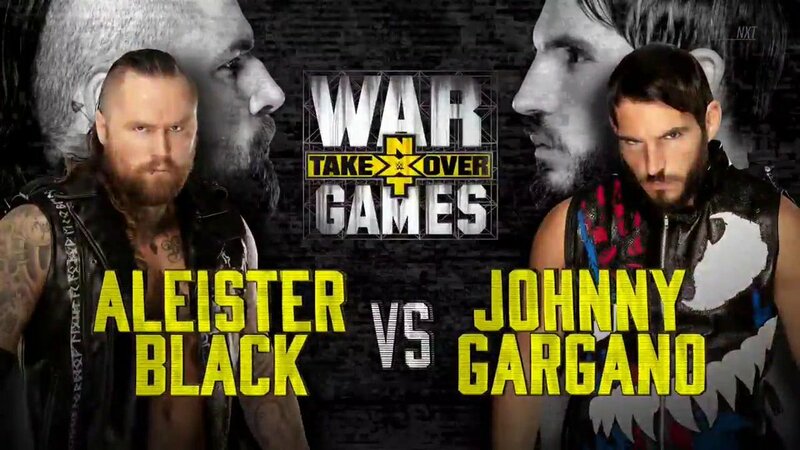 Results of the third match of WWE NXT Takeover War Games, Johnny Gargano vs. Aleister Black in grudge match! Aleister Black was out for revenge on Johnny Gargano for his unwarranted attack at WWE NXT Takeover War Games! Johnny Gargano hit the ring first, still acting like a babyface (which he should) but questioning the fans’ somewhat negative reaction to him (which he also should). Aleister Black had his usual theatrical entrance. It was noted that this is Johnny Gargano’s 11th Takeover match, the most of any talent on the roster. Both men would trade strikes mid-match before Gargano nailed a Reverse Rana followed by a Leaping Knee Strike from Black. Black stopped Gargano from going for his DIY strike, instead sitting in his trademark position, center ring, and daring Gargano to give him his best shot. Black moved and rolled Gargano up but did not score the fall. The Staples Center broke out into a “Mama Mia!” chant after Black nailed a knee strike when Gargano dove at him through the ropes. Aleister Black would end the match with an exposed knee strike and two Black Mass kicks to score the pinfall victory.
.@WWEAleister has been waiting for this! "Give me your best shot!" No man is ever truly e-vil. 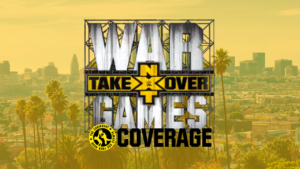 What did you think of Aleister Black vs. Johnny Gargano at WWE NXT Takeover War Games? Let us know on social media @theCHAIRSHOTcom and always remember to use the hashtag #UseYourHead!